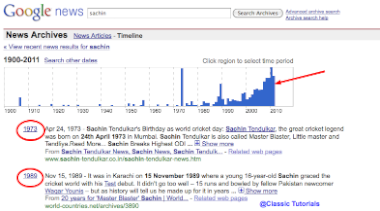 Ever wondered when Sachin came first on news? Or just thought what was the newspapers printing before our independence? Or ever wondered what happened during the start of time? Ok if you have not you can think now. 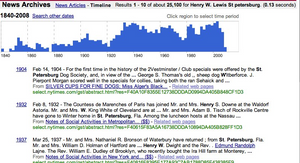 Google has this unique service called Google News Archive which digitalized lots of old news papers. Check the screenshot below. But the bad news is they have recently stopped the archiving service but still there are already lot of information available in there databases.